Many Americans still shudder when they think back to the last recession. All told, 8.7 million people lost their jobs, and it took years for many families to dig out from the financial destruction. Since the recession officially ended in 2009, a question has lingered in the backs of American workers’ minds: Could it happen again? Yes, it can. Historical data shows that the US averages one recession every 6-7 years, which has led experts to predict that we are due for another downturn any day now. Don’t panic. Consider the last recession your boot camp for surviving tough economic times. Now that you know better, you can do better. Step one in preparing for the next recession is to pay off any debt you have now. Tighten the reins on spending and throw all the money you can at credit card balances and other debt. If you have money left over at the end of the month, sock the rest into a savings account. Credit card debt is the devil during a recession. Visa and Mastercard are going to want their money whether you have a job or not. 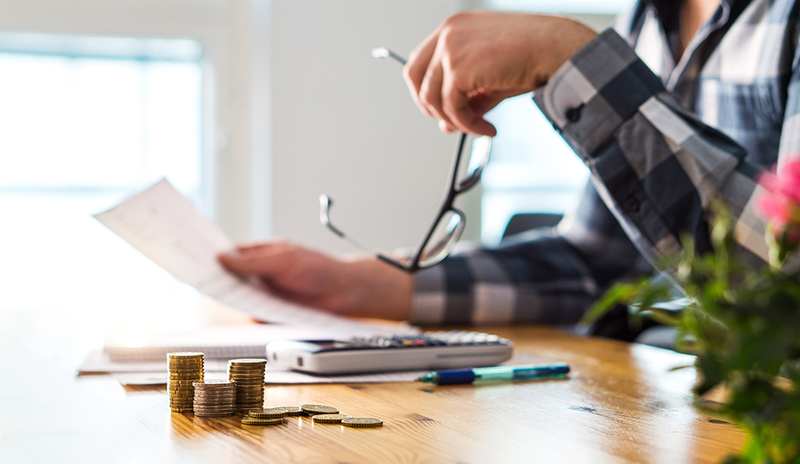 In addition to avoiding interest on credit card balances, paying down your debt now will mean that you have more money available to you down the road, which could come in handy if your hours are cut or you lose your job altogether. Consider taking out a debt consolidation loan, which could help you save hundreds of dollars a month in interest fees, depending on what you owe. If you don’t have any debt, pat yourself on the back — but don’t celebrate with expensive purchases. Instead, sock away your extra cash for a rainy day. The more padding you have in your checking account, the better prepared you’ll be for the next recession. Some fields are more recession-proof than others. Healthcare, government, and some areas of tech have historically been “safe” during recessions, while retail, food and beverage, and hospitality roles have proven to be more vulnerable. If you work in an at-risk industry, consider making a career change into a field that might be more resilient. Think about your transferable skills and how they could be applied to a new career. For example, a retail worker’s skills would likely translate well to a customer service role. With Lyft and Uber cars all over the roadways, and companies like Etsy and TaskRabbit going strong, the tech industry has created a bevy of earning opportunities for workers who are looking to supplement their incomes. While full-time workers would likely be giving up nights and weekends to pursue side jobs, diversifying your skills and not relying on one source of income makes great sense during unstable financial times. Other ideas for side businesses might include babysitting, dog walking, or tutoring. Should a recession hit, and should you lose your full-time job, the side gig could be something to immediately fall back on while you work toward securing full-time employment again. The most powerful way to prepare for the next recession is to make networking a habit rather than an afterthought. When people lose their jobs unexpectedly, they often scramble to connect with their networks to find work again. Savvy people don’t wait until it’s an emergency to network. Consider what your next move might be now and create networking opportunities that support your goal. For example, if you hope to be promoted within your industry, study the LinkedIn profiles of people who hold the title you’d like. Identify the skills and training you might need to obtain in order to make an upward move. If you are contemplating a career change, try to connect with people who hold the types of jobs you might be interested in. Ask if they’d be willing to sit for an informational interview. These types of interviews can be invaluable for making connections who can guide you in the best ways to parlay your transferable skills into a new career. Like networking, a new resume should never be an afterthought. Having an up-to-date resume on hand means you are ready to leap when a great opportunity arises. The type of job you are looking for will determine whether your resume needs a quick update or a major overhaul. Learning how to write a resume that is right for your next career move is critical to your continued professional success. Don’t forget the cover letter. Research shows that 45 percent of job seekers skip writing a cover letter when applying for work. While some job seekers operate under the false assumption that recruiters don’t read cover letters, that isn’t true. Cover letters are often an important way for a recruiter or hiring manager to distinguish between two similarly qualified candidates. If you and another candidate have similar educational backgrounds and have held identical job titles during your careers, your well-written cover letter may be the tiebreaker. The specifics steps you take to prepare for the next recession will depend on your circumstances. Regardless of your field, your financial situation, or your level of worry, taking steps now to safeguard yourself and your family will make even the most serious downturns feel less tumultuous. Catch this article — plus tons of exclusive content — in issue three of Recruiter.com Magazine.